Gold and gold stocks have experienced increased interest recently, amid economic uncertainty and global trade conflicts. In this setting, it has not surprised brokers that gold would re-assert its traditional role as a safe-haven asset. With the combination of a US slowdown, as US interest rates move to a more neutral setting, conflict in geopolitics and the rest of the world becoming relatively stronger, gold is forecast to set new cycle highs. Along with higher gold price forecasts, Macquarie also incorporates a lower Australian exchange rate, expected to remain broadly around the low US$0.70 region over the next couple of years. 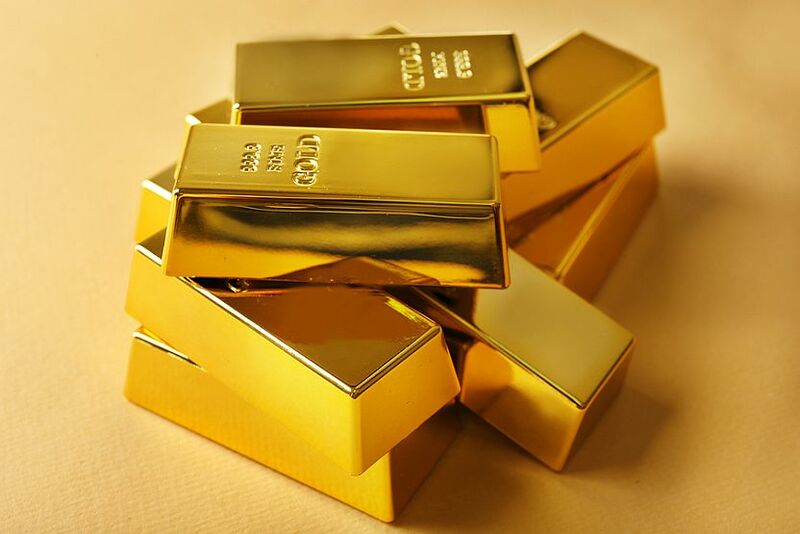 A gold price of US$1319/oz in 2019 and US$1431/oz in 2020 is forecast. A higher gold price directly translates to higher earnings in the sector and the broker lifts earnings estimates for FY19 across the sector by 2-13%, making a larger increase of 16-53% for FY20. Canaccord Genuity, too, upgrades gold price assumptions, which includes a 4.1% increase for the long-term forecast to US$1474/oz. The broker's Australian dollar forecast has also slipped for the long-term, to US$0.71, resulting in an increase to the Australian long-term gold price, to $2076/oz. Bell Potter suspects a more dovish outlook from the US Federal Reserve, as the trajectory of interest-rate hikes in 2019 and 2020 has ebbed versus prior expectations, is supporting the gold sector. A technical view also looks to be in favour of the gold price. In the short term, the "fear trade" has been overdone but Macquarie believes it remains a curtain raiser to more deep-seated “trouble” that is likely to come in the second half of 2019 and into 2020. The broker notes jewellery demand in the larger physical markets is weak but believes a new era is being ushered in for central bank purchases of gold, amid a potential pick up in demand for gold coin. Australian dollar-exposed gold producers benefit most from the updated price expectations although, to some extent, Canaccord Genuity points out this is already priced into mid-cap producers. Increased revenue, because of the generally flat production profiles, translates directly to higher earnings and, therefore, the gold price upgrades favour the larger producer, Macquarie adds. Perseus Mining ((PRU)), which is most leveraged to the gold price, experiences large upgrades in the broker's forecasts. Bell Potter notes gold equities have begun to outperform the underlying metal and, while hastening to add this is not providing material for a raging bull market, agrees there are plenty of strong signs. A strong performance has been noted in larger names, suggesting to the broker mid-sized producers have work to do to catch up. Mid-cap stocks appear to have the highest valuation multiples, owing to superior asset quality, balance sheet strength and free cash flow. Canaccord Genuity notes an average return of over 10% in the last month and 17% over two months. As a result, the broker downgrades ratings for OceanaGold ((OGC)), to Sell from Hold, St Barbara ((SBM)), to Hold from Buy, and Saracen Mineral ((SAR)), considered to be the most overvalued, to Sell from Hold. The broker's top picks remain Regis Resources ((RRL)), considered to be trading at the largest discount to peer averages, Perseus Mining, which offers the best upside from a valuation standpoint, and Dacian Gold ((DCN)). Bell Potter also cites Regis Resources as a top pick amongst ASX-listed gold producers because of its strong balance sheet, capital efficient growth and high shareholder returns. Gold Road ((GOR)) is also noted for higher forecast annual average gold production, based on the inclusion of the shallow gold reserves from the nearby Attila and Alaric deposits. The Gruyere deposit is also on track to produce first gold in mid 2019. Bell Potter likes Dacian Gold, as the Mount Morgans project commenced production last year and commercial production was targeted for the end of 2018. Meanwhile, Westgold Resources ((WGX)) is ramping up Central Murchison, targeting 300-320,000 ounces at an average cost of $1300-50/oz in FY19. Macquarie upgrades Saracen to Outperform which, along with Northern Star Resources ((NST)), is a preferred domestic gold producer. The broker also envisages value in offshore producers such as Alacer Gold ((AQG)) and Resolute Mining ((RSG)), as they are about to start commercial production at new projects, the Copler sulphide and Syama SLC, respectively. Bellevue Gold ((BGL)) is also a key pick for exploration. The broker assesses the disconnect between the share price performance of domestic producers and those offshore has been large and long-lived. Higher gold prices could mean risk appetites increase, and there is potential for investors to be enticed offshore as they seek value. Developers and explorers, both offshore and domestically, should benefit from the more bullish conditions. Macquarie does not expect a higher gold price will mean more M&A activity, domestically and, where there is activity it is likely to be offshore, particularly North America. Australian companies are noted to be actively looking for assets offshore.